Love them or hate them, the Brits have had a huge impact on society today. Technically Britain (or the United Kingdom) has been a sovereign state from 1707 (when the Acts of Union went into effect and England and Scotland were unified). England and Wales had been a sovereign state already since 1284 and England became a unified nation in 927. At it’s height the sun did not set on the British Empire. By 1922 the British Empire held sway over about 458 million people and covered more than 33 million square kilometres (making it the largest Empire in the history of humankind). If you take this into account, it’s no wonder that Britain has a huge impact on society. Just look at the all the countries who have cricket teams – most of them were British colonies (South Africa, India, Pakistan, Bangladesh, The West Indies, Australia, New Zealand, Kenya, etc). Chances are that if you drive on the left hand side of the road today, your country was a British colony. Yesterday The Chive Posted an article entitled “A Few Intriguing Facts About Britain” and prompted to me to point out a few of the facts (and some of my own) in a blog post. I hope you you find these 6 facts about Britain interesting. This fact made it into reports in the media about three years ago. Spooks at MI6 discovered the bodily fluid could be used as an invisible ink, as it glows brightly under UV light but does not react to detection chemicals. The tests are detailed in a diary entry written during the First World War by a senior member of the Secret Intelligence Service. This is fascinating. In 1865 the first speed limit was introduced in Britain – 2 mph in town and 4 mph in the country. Imagine getting fined for speeding while you’re doing 8 miles per hour (12.7 kilometers per hour). It’s ridiculous, but it’s true. Apparently the chap was caught by a policeman who chased him on his bicycle for 5 miles before eventually catching up with him. The bloke was fined one shilling. Thanks goodness we’re not living in the 19th Century – sadly we don’t have cops chasing on bicycles anymore. Another strange but true fact. In 1535, King Henry VIII of England (who wore a beard himself) introduced a tax on beards. The tax was a graduated tax, varying with the wearer’s social position. Elizabeth I of England (his daughter) reintroduced the tax, taxing every beard of more than two weeks’ growth. In 1705 Peter the Great introduced a similar tax in Russia. Those who paid the tax were required to carry a “beard token”. It was eventually abolished in 1772 in that country. Sometimes we forget how long football has been around. The earliest account of ball games being played in Europe (after the Roman occupation) comes from the 9th century. Nennius composed text in what is now Northern Wales and mentioned “a party of boys … playing at ball”. King Henry IV of England provided the first documented use of the English word “football” in 1409 – he issued a proclamation forbidding the levying of money for “foteball”. The early forms of football played in England (referred to as “mob football”) were played between neighbouring towns and villages and involved an unlimited number of players on opposing teams. There’s no doubt that these games were often violent. It’s no surprise that football was banned in England by more than 30 royal and local laws between 1324 and 1667. The major reason why we’ve seen organized ball games (like rugby, football, tennis and cricket) since the mid to late 19th century is the patenting of the world’s first lawnmower in 1830 (which was invented by Edwin Budding). This allowed for the preparation of modern ovals, playing fields, pitches, grass courts, etc and was followed by the preparation of codes of laws. I think we should bring medieval football back. Imagine Arsenal and Liverpool or Chelsea and Manchester United REALLY battling each other on live television – ratings will reach epic proportions globally. The UK has one of the best Police forces in the world, but this is a tad ridiculous. If you’re get caught taking a piss in the back alley next door to a club or a pub in the UK you may be get arrested or fined and if you’ve seen shows like “Booze Britain” you’ll realize that they’re quite serious about it. Next time you’re visiting your Saffa mates in London make sure that you find a rear car wheel and that you use the right hand(s) when you want to take a public wizz so that you don’t break the law. I was always wondering where that phrase comes from and now I know. In Colonial America (and presumably in Europe as well) the beds were not of the box spring variety that we enjoy today. The mattress laid on top of a web of ropes. There was a tool (an iron type of gadget that looked somewhat like an old clothes pin but larger) which was used to tighten the ropes when they became too slack. Thank goodness that we don’t have to go through that whole routine each night we go to bed in the 21st Century. There you have it, 6 Interesting facts about Britain. If you can add a few to this list, feel free to comment on this post. Feedback is appreciated and welcome here. Also feel free to share this post with your friends on Facebook and Twitter. Sharing is caring after all. 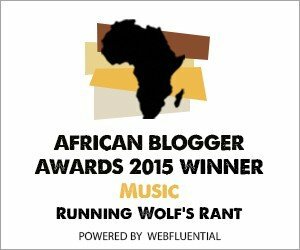 Watch this space for regular updates in the Humor and Facts categories on Running Wolf’s Rant. A very important “colony” you missed off your list, is the good ol’e US of A. Brits like to tease Americans these days even for being from “the colony” of America. Another interesting tax there was in Roman times, in particular in the beautiful Roman town of Bath, was a tax on windows. The more windows your house had, the more tax you had to pay for them. Driving through Bath today, you’ll see that many home have had one or more windows built over.